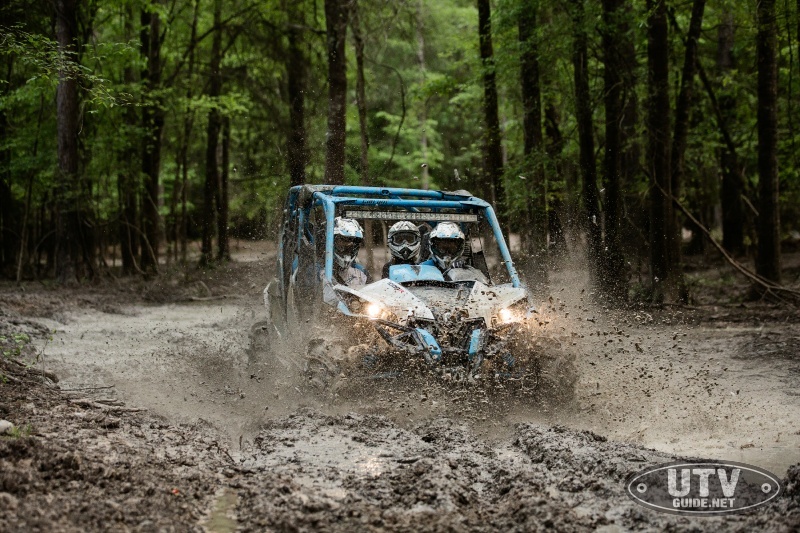 BRP added to its industry leading Can-Am X mr family of purpose-built mud vehicles with the introduction of the new four-passenger, family-friendly Can-Am Maverick MAX X mr 1000R side-by-side vehicle. 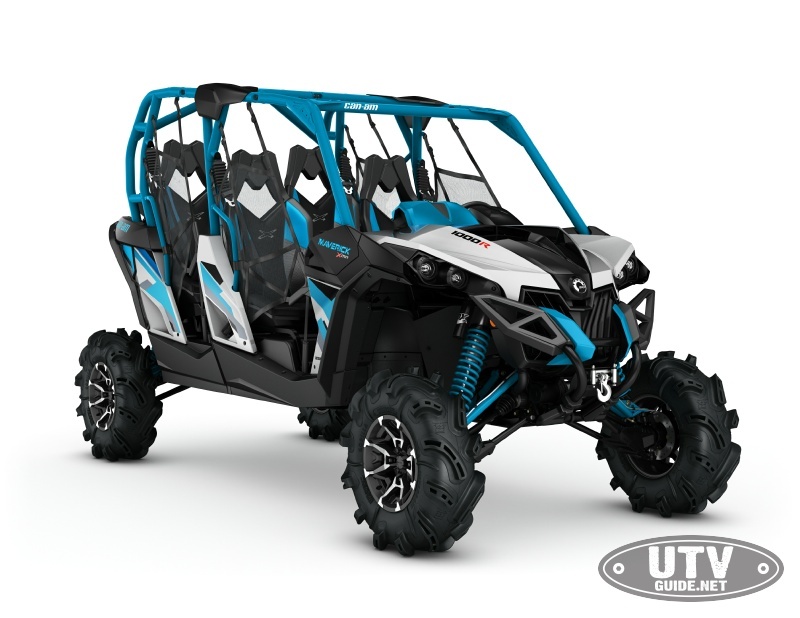 Like the shorter two-seat Maverick X mr 1000R unit, the MAX mx 1000R package is powered by the potent 101-horsepower, 976cc Rotax 1000R V-Twin and outfitted in an exclusive X-package setup. 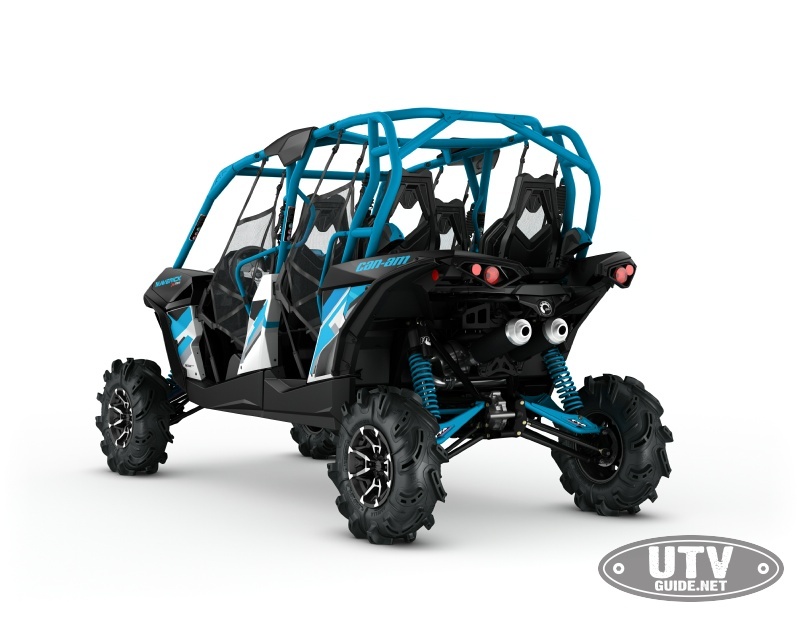 The Maverick MAX platform has an additional 29.5-inch (75 cm) wheelbase to help accommodate two additional rear passengers and provide a better footprint. It also receives several key features for its 2017 unveiling. They include the durable CVT with Quick-Response System (QRS) and technologies borrowed from the Maverick Turbo units, all-new FOX 2.5 Podium QS3 shocks, custom wheels, a front sway bar and head-turning color. 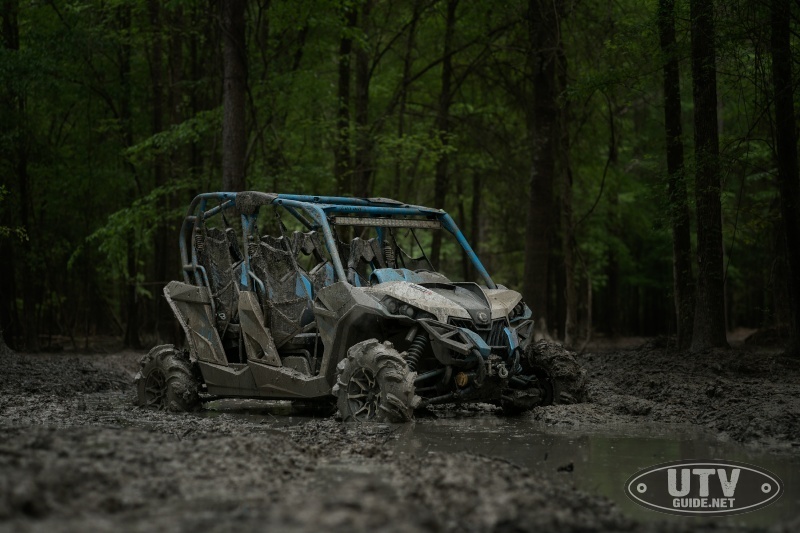 The Maverick MAX X mr 1000R side-by-side vehicle uses the same CVT with Quick Response System (QRS) found in the Maverick MAX Turbo vehicles. The QRS system allows for even better power transfer and faster engagement time while also reducing friction for longer belt life. The CVT ventilation has strategic inlets and outlets and a specific impeller design to create more cold-air flow moving through the pulleys. 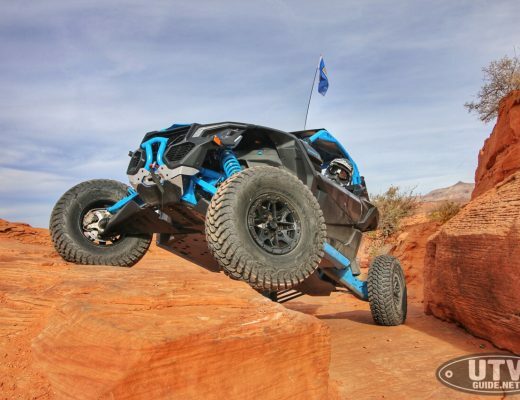 The CVT on the Maverick MAX X mr has an extra low range L-gear to allow for an increased load. The transmission system has a 13-bolt sealing system and drain plug for the housing, and the CVT intake is at a higher location in the chassis for optimal performance in wet conditions. All DPS-equipped models come with the Visco-Lok QE calibration giving an even quicker engagement of the front differential. New FOX 2.5 Podium QS3 piggyback shocks were added for 2017. The high-grade shocks allow for simpler and quicker compression adjustments, and feature a tool-free adjuster and numerous fine-tuning ranges for exceptional ride quality. The new front sway bar uses a torsional spring design to counter weight transfers to reduce body roll and create an even flatter and more desirable handling experience. It attaches to the underside of the chassis and to the A-arms via a sway bar link. 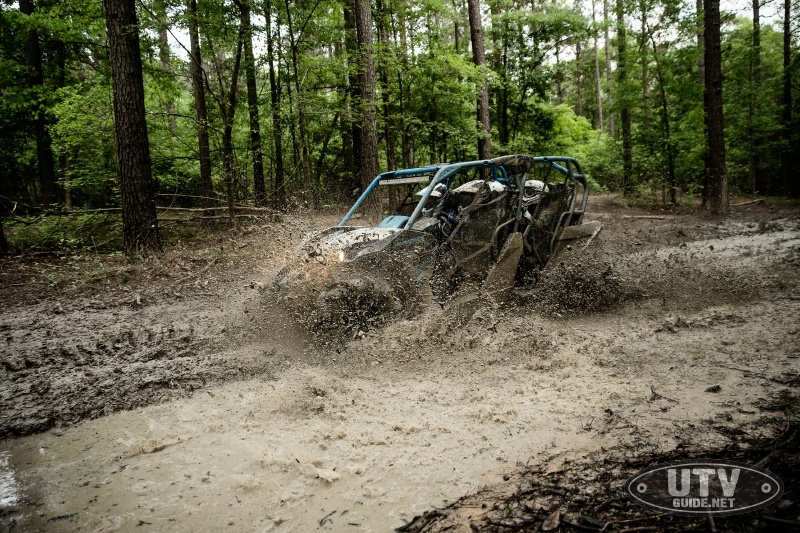 30-inch Gorilla Axle Silverback Tires Engineered for mud by Gorilla Axle, the 30 x 9-14 (76.2 cm x 22.9 cm-35.6 cm) Silverback tires have been tested in the deepest mud holes of east Texas and Louisiana. 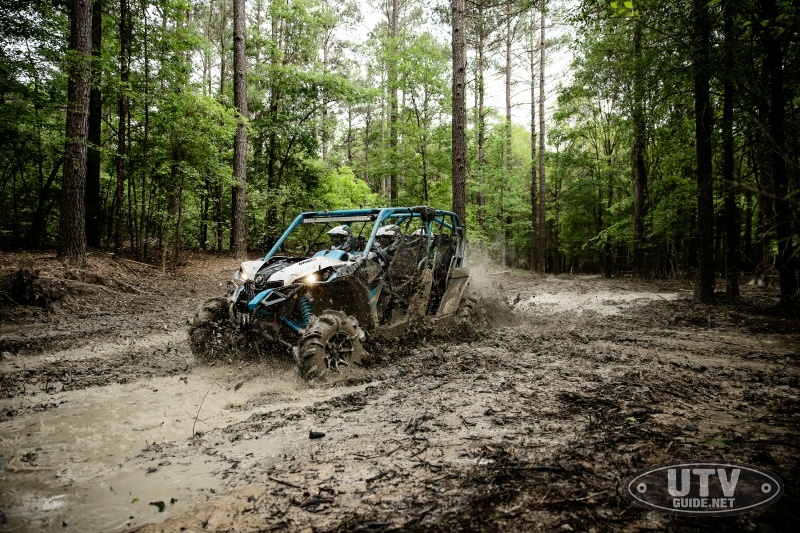 With a tall lug and aggressive tread pattern, the tires offer superb mud performance and traction. New stylish and functional 14-inch (35.6 cm) cast-aluminum wheels give the Maverick MAX X mr 1000R its own unique look. 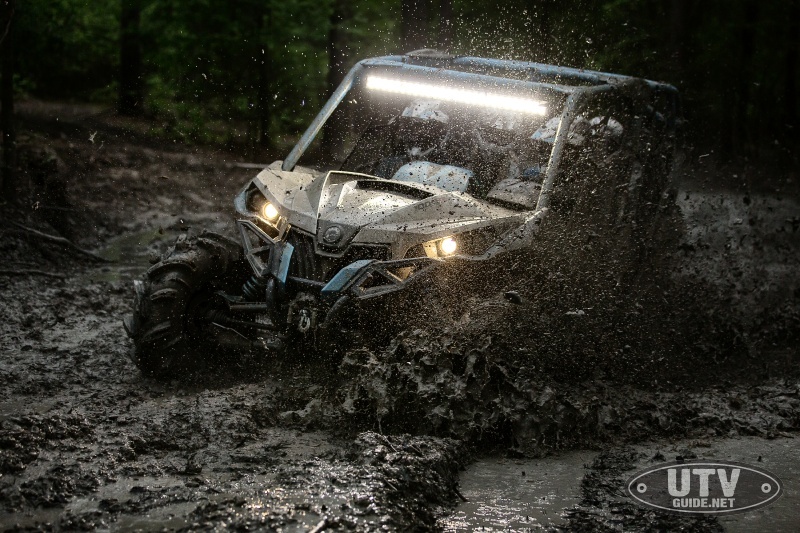 The lighter weight black wheels are durable for the demanding mud and have an attractive machined aluminum 8-spoke design with a black center and Can-Am cap. A 4,500-pound winch kit includes a roller fairlead. The winch is designed to handle heavy-duty loads and is an ideal accessory for mud vehicles. 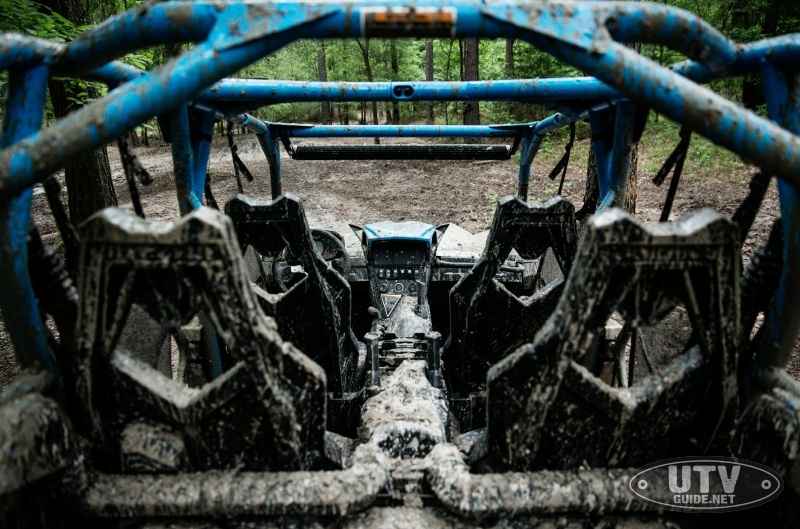 Extending out from the fender wells, the bolt-on mudguards are designed to offer increased protection from mud, water and trail debris for the occupants. The X package includes black seats with new color-matching highlights and enhanced X-Team stitching. 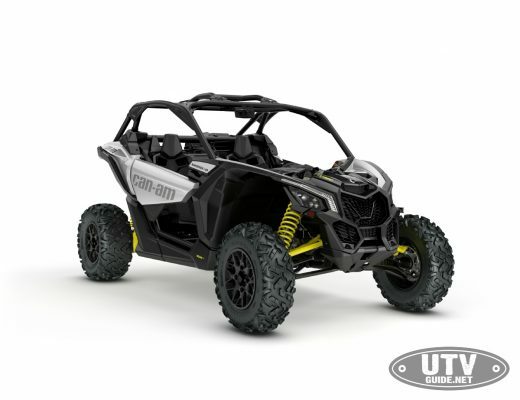 The Maverick MAX X mr has the same upgraded gauge as the other Maverick X-package vehicles. It features state-of-the-art instrumentation with an analog tachometer and speedometer combined with an advanced digital information center. The three-spoke steering wheel with molded grips and a brushed aluminum centerpiece enhance the Xpackage appearance. 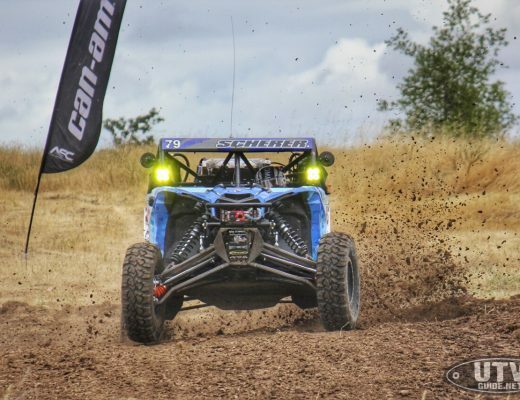 Dressed with the Hyper Silver, Black and Octane Blue, the Maverick MAX X mr 1000R also wears Xpackage graphics and sponsor logos to complete its competition-ready appearance.